Looking to buy a new premium TV? A 65 inch TV is undoubtedly where you have the most choice. 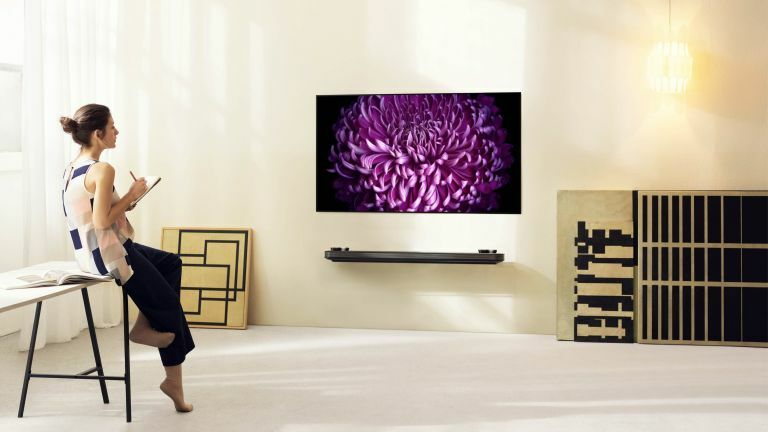 It's where most TV flagships sit, proudly showing off the best tech that each of the manufacturers has to offer. We're here to help you find the best 65 inch TV for your home. While there are a lot of pricey TVs available at this size, there are also a few budget sets available. We'd advise against opting for the truly supermarket-level bargains, but there are plenty of compromises you can make to bring the price of your set down. For more TV recommendations, head to our televisions hub page; or if you're after a TV deal, browse our pick of the best TV deals this month. Choosing a TV and not sure where to start? The single biggest decision you'll have to make is between buying a conventional LCD TV (also occasionally referred to as LED TVs) and an OLED TV. OLED TVs are more expensive, but they benefit from absolutely astonishing levels of contrast thanks to the fact that they're able to turn off individual pixels to create 'perfect' black levels. That said, they can't quite get as bright as LCD TVs meaning they can be a little harder to watch in bright living rooms. You also don't get quite as much sparkle in brighter parts of an image. Beyond panel type your decision will come down to the strengths and weaknesses of each TV in particular, and we'll get into each of these as we dive into our guide to the best 65 inch TVs of 2018. The B7 is the cheapest of the LG's OLED TVs, and we think that makes it a fantastic buy. Better still is the fact that you don't have to compromise on picture quality if you want to save yourself some money. Each of the TVs come equipped with exactly the same panel and picture processing technology, which by all accounts is absolutely superb and has phenomenally low levels of input lag to boot. The compromise comes from the audio side of the equation. LG's more expensive sets come equipped with front-firing Atmos-capable speakers, while the B7 has to instead make do with a pair of fairly week downward-firing speakers. The result is that it doesn't sound that great, but frankly with the amount of money you save by opting for the B7 over its more expensive brothers you can afford to buy a decent soundbar to pair it with. Browse more 65-inch TV's on Amazon. If you're not on board with the amount of money you'd have to spend on an OLED, then there are still a good number of LCD TVs worth considering. Our pick of the bunch is Sony's XE90. Unlike an OLED it's unable to turn its light off on a pixel-by-pixel basis, so in order to create contrast between light and dark parts of an image it instead uses an LED backlight. This backlight is able to turn off behind certain parts of the image to allow for variation in brightness levels. The resulting HDR images speak for themselves, and mean that you'll be able to enjoy the benefits of LCD over OLEDs, namely much higher peak brightness levels. Further up Sony's LCD lineup you can get much brighter TVs, but we think the XE90 sits at a great intersection of price and performance, making it the second best 65 inch TV you can buy today. Browse more 65-inch TV's available from Currys PC World. If you want an OLED and you have the budget to spend, then Sony's 65 inch A1 OLED is an absolutely great buy. Its big advantage over LG's B7 is how it's able to upscale HD/SDR content to a level that looks almost identical to native 4K/HDR footage. That's a great piece of functionality, especially when you consider that the majority of content is unlikely to be 4K HDR for the foreseeable future. Beyond its upscaling prowess the set also features a pretty unique speaker configuration which actually sees it vibrate its screen itself to create sound. The downside of these expanded functionalities is twofold. First off, the A1 isn't as great a choice for gaming as the B7 as it has higher levels of input lag, and secondly its price premium is pretty severe, even for an OLED. But if your pockets are deep enough this is still a fantastic buy. If you're looking to create a cinema-like environment, it doesn't get much better than this 65 inch LG OLED65C8. Cinematic images, colour rich realism and stunning HDR colour-scape combine for an awe-inspiring picture. Ultra-thin with a sleek and stylish design, it's the perfect option if you're looking for a model that won't disrupt the aesthetic of your home. With an Alpha 9 processor, you can also expect Perfect Colour on Perfect Black, all while Dolby Atmos sounds provides immersive audio. In addition to all of this, LG's award winning webOS smart platform allows you to stream all of your favourite films and TV shows either through voice control or via the magic remote. In our opinion, this is one of the best 65 inch TVs you can buy if you're decking out a home cinema. See the full range of 65-inch TVs available from John Lewis & Partners. Although LG's TV lineup has been defined by its OLED offerings for many years now, its LCD TVs aren't half bad either. The 65UJ634V's blacks might not be as deep as what's possible on its OLED siblings, but its IPS panel offers lovely wide viewing angles with bright and vivid colours. More importantly, the TVs interface is top notch. The smart OS is WebOS, which we count as one of the most easy to use TV operating systems out there, and the TV also comes packing Freeview Play, which allows access to catch-up services from within the TV guide. You won't get the best picture quality around, but if you're more concerned about having a TV that's easy to navigate and use then the LG 65UJ634V is the best 65 inch TV for you.